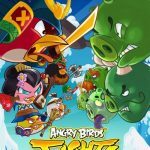 Rovio’s Angry Birds series has been around for years, and it continues to remain relevant in the mobile gaming world as it churns out one title after another. What began as a fun slingshot game has expanded into new territory and the series has now made it into the bubble-popping business. 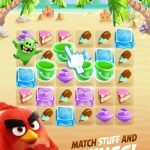 Angry Birds Dream Blast is a colorful new puzzle game for mobile devices where players need to help the baby birds with their nap time by blasting through levels. The mechanics are simple. Just tap on groups of similarly colored dream bubbles and watch them pop. Of course, there are goals for each level that need to be met in order to complete it. There are hundreds of levels to overcome, each one more challenging than the last. Randomly tapping on bubble clusters isn’t going to cut it in later stages. 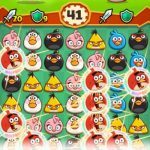 Check out our detailed Angry Birds Dream Blast guide for tips, cheats and strategies to complete all levels in the game! In Angry Birds Dream Blast, you get to create special tiles when you pop four or more bubbles of the same color. The mechanics for creating these tiles, however, are slightly different to what most people are used to. Instead of creating different tiles depending on the number of bubbles popped at the same time, you will need to combine weaker special tiles to create better ones. We have listed the three special tiles below along with details on how to use them. Red Bird – The red bird is the basic special tile of the game. It is created by combining four or more regular bubbles of the same color. The Red Bird clears an entire row or column depending on the direction of the arrows on it. The more bubbles you use to create it, the more rows or columns it will clear when you use it. Chuck – For those who are not familiar with the series, Chuck is the yellow Angry Bird. You can create his special tile by combining two Red Birds that are placed side by side. When you activate Chuck, he will clear a cross-shaped pattern across the board. To create a bigger Chuck bubble, you will need to combine two large Red Birds. Of course, the bigger the Chuck, the more bubbles will be cleared. Bomb – This explosive little tile clears everything on the screen, including obstacles. You can create it by combining two Chucks. The size of the Chucks used to create the Bomb does not matter since it clears the entire board just the same. Later stages of the game will have more obstacles for you to deal with. It may be easy to work your way around them in earlier stages, but later on, you will have to master how to get rid of them altogether. This is especially true for stages where you need to get eggs to the bottom of the screen. Red Birds do not clear obstacles, so you will need to use at least a Chuck to clear them. Even though the Bomb sounds like a good way to clear all the obstacles on the screen, it may take you too many moves to create one. Chucks are the most efficient way to clear obstacles unless you get lucky and end up with a Bomb with just a few moves. Each level will require you to complete certain tasks. A lot of times, this will involve popping a specific number of bubbles in a certain color. Make sure that every move you make is a step towards this goal. It is easy to get carried away when you are trying to create special tiles, but make sure you keep track of the number of moves that you are using. Instead of trying to force a Bomb to appear, you can just use several Red Birds to achieve the same results. If you will notice, the board has an odd shape. Dealing with bubbles means they will fall in a certain way. This is why it is important for you to pay attention where you tap when popping bubbles. The positioning of your tap will determine where the special tiles will appear. For example, if you pop four bubbles of the same color and you tap in the middle, then the Red Bird will appear in the middle. If you pop a row of bubbles, the Red Bird will appear on the bubble that you tapped on. Make sure you keep this in mind since you want to maximize the use of each special tile through proper positioning. This will also help you out a lot when you are trying to create a Chuck and a Bomb. There are different obstacles in the game, and they behave differently. Knowing how to deal with each type will help you come up with a better strategy on how to clear them. Check out the list of obstacles below in order to understand how you can work your way around each one. Ice Block – This is one of the most basic obstacles in the game. They are barriers that prevent you from getting to the bottom of the board. You can easily destroy them by simply matching bubbles that are right next to them. There are levels, however, where there are too many ice blocks on the board. In those instances, it would be better to use a Chuck tile to clear them faster. Stone Block – This is similar to the ice block. The only difference is that regular bubbles cannot destroy them. You will need to use any of the three special tiles to break through the stone block. Pig Lock – The nemesis of the Angry Birds, the pigs lock away the end of a level behind a chain. You will need to open the pig lock in order to complete the level. Pig locks are color coded and that is the key to breaking them. Just match them with bubbles of the same color in order to reduce the number of the lock. Once it reaches zero, the lock will open. Pig Balloons – Yet another obstacle presented by your nemesis, the balloons can only be destroyed using special tiles. Make sure you properly align the special tiles before using them. Nightmare Cloud – These clouds serve as part of your objectives. They hang around the board until you match bubbles beside them. You will need to clear a certain number of nightmare clouds in order to complete the level. The only limiting factor in Angry Birds Dream Blast is the number of moves you make. That means you have all the time in the world to consider each move. Take your time in analyzing the board and figuring out what the best move is. Just as we mentioned earlier, the positioning of your taps is important. Do not rush into tapping every bubble cluster you see. Instead, think about where the special tiles will fall if you make a move. This will help you maximize the use of each move and clear each level more efficiently. Sometimes, it is necessary to pop a few tiles in order to set up better combinations. This is especially useful in stages where you really need to create special tiles. Check the entire board to see if you can get more bubbles of the same color to come together by getting rid of a few bubbles first. For example, if you see three pink bubbles sandwiched between a lot of blue ones, then pop the pink ones first so you can create a huge red bird afterwards. Make sure you do this before activating any other special tile. The board will get scrambled after each time you use a special tile, so the combo you set up will be disrupted if you are not careful. There are certain frustrating stages where the bubbles keep getting shuffled because of a spinning windmill. Instead of just popping whatever you can, you may need to patiently wait for the shuffle to fall in your favor. Keep a close eye on the positioning of all the bubbles after each shuffle to make sure you don’t miss out on any opportunities to make great matches. Keep your cool and you will eventually be able to overcome these annoying levels. While we are on the topic of frustrating levels, you will start encountering stages where certain parts of the board will be out of reach. The first one will appear on Level 30, where you need to clear clouds in order to let the rest of the bubbles go through. Merely combining small bubble clusters will not get you anywhere in these cases. You will have to pop a lot of bubbles at the same time in order to form large birds. Do not use the large birds immediately. Stack them in order to set the stage for even bigger explosions. It is time to help the baby birds get better dreams in Angry Birds Dream Blast! Just follow the tips and tricks listed in the guide and you will be blasting through stages with ease! In case you have something to add, feel free to let us know in the comment section below! 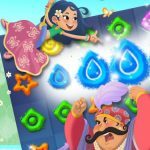 How many levels are in dream blast?